J-Collabo’s impressive space in Park Slope, Brooklyn, holds a variety of events, including art exhibitions, concerts, film screenings, and educational programs. 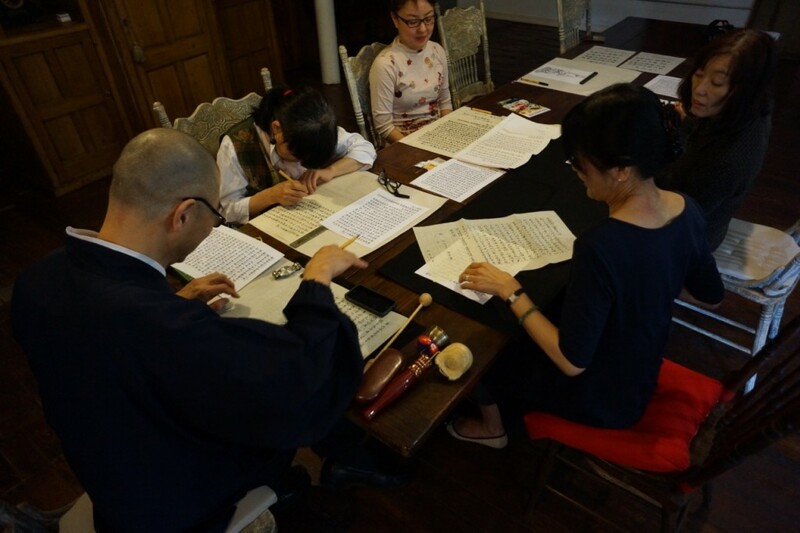 Two of those culturally enriching programs are Shojin Brunch and Dharma Talk and Shakyo and Japanese Calligraphy, which take place on the first and third Saturdays of each month. Both classes are led by Rev. 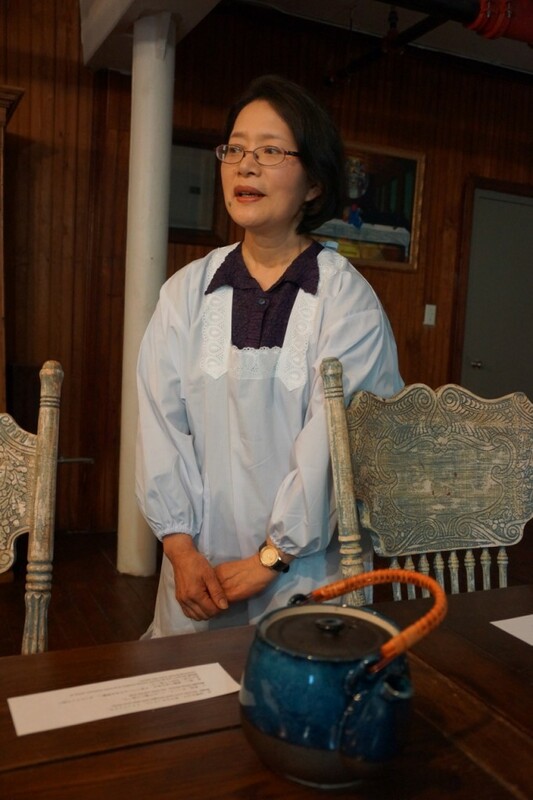 Dr. T. Kenjitsu Nakagaki, a Buddhist priest who is the president of the Buddhist Council of New York and the vice president of The Interfaith Center of New York. I participated in the inaugural sessions for both programs in early May. Due to a delayed subway train, I was 15 minutes late to the Shojin Brunch, an introduction into Buddhist vegetarian cuisine. Agitated about being late and out of breath from trotting from the subway station to the event space, I was out of sorts as I took my seat at the table with Rev. Nakagaki and four gracious and understanding fellow participants. I knew that the principles of shojin ryori are fairly basic: No meat, as the concept of non-violence does not allow the killing of animals; and no waste, as historically monasteries run on tight budgets, so cooks use whatever is available from stalk to stem. 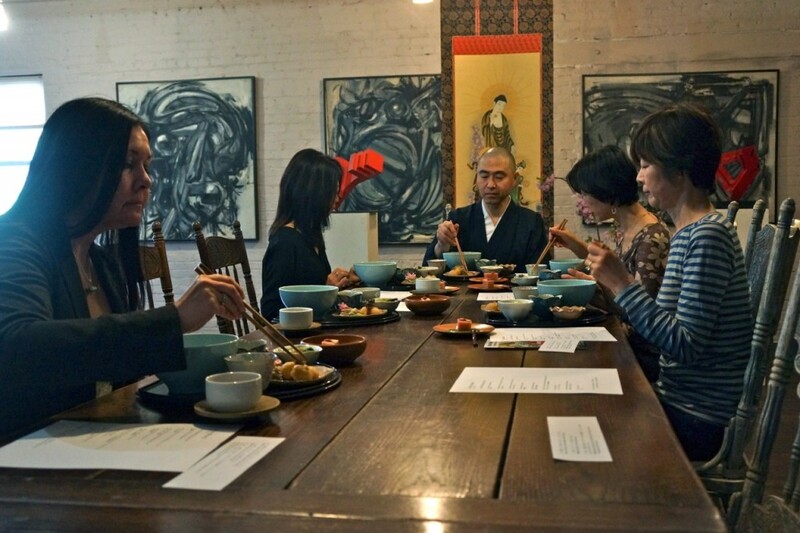 What I would discover as a result of this class is that shojin ryori isn’t only about what you eat, but how you eat it. Rev. 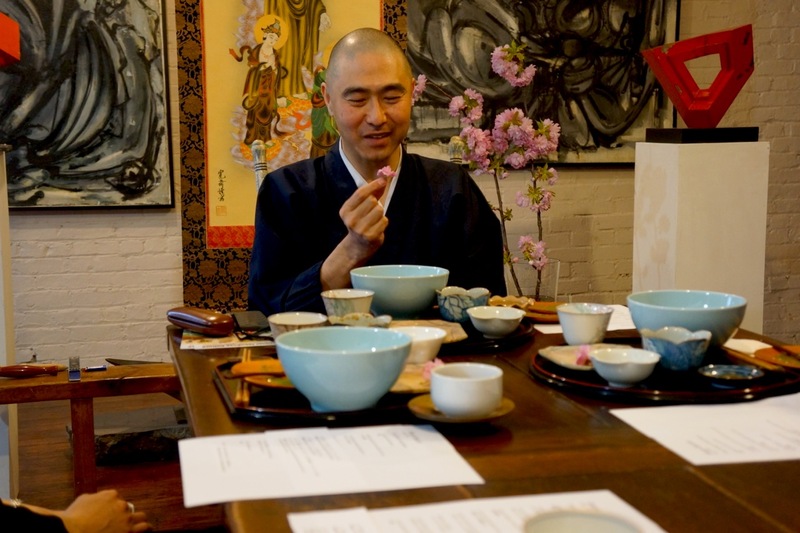 Nakagaki instructed us about the three main points to partaking in a Buddhist vegetarian meal, focusing on the body, the mouth, and the mind. Body: Sit with your back straight and relax your body. Mouth: Keep silent. Eat slowly and bite well. Mind: Respect and gratitude, being mindful of the present moment, sense of receiving benefits from nature. He then led us in a series of meditative breathing and relaxation exercises. The stress from my commute melted away almost instantly. We remained silent as our meals were placed in front of us on lacquered trays. 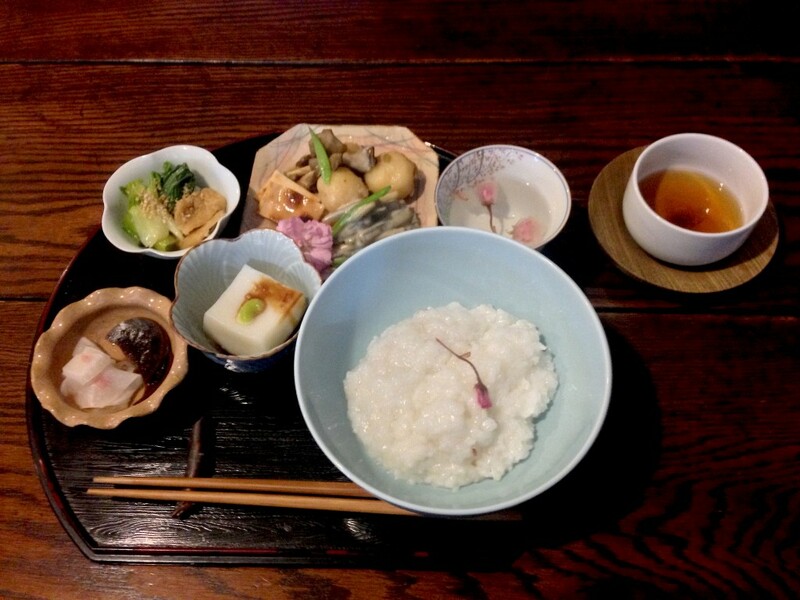 Miyo Sasaki prepared a succulent meal based on the cherry blossom and fresh, springtime ingredients. We ate silently, Rev. Nakagaki advising us to close our eyes occasionally and to chew slowly. I can’t recall a meal where I didn’t have a conversation, but I actually enjoyed the quiet. I ate carefully, breathing in the aromas and tasting – truly tasting – each ingredient. Chewing slowly enhanced the delicate flavors of each dish and helped me appreciate the seasonings as well as Sasaki-sans thoughtful preparation. From texture to taste, each dish worked in harmony together to create a satisfying meal. The seasonings, such as wasabi or mustard miso, weren’t overpowering. I’m a meat lover, but I didn’t miss it at all; the congee, potatoes, and burdock had plenty of substance. The meal was filling without giving me the feeling of being stuffed. 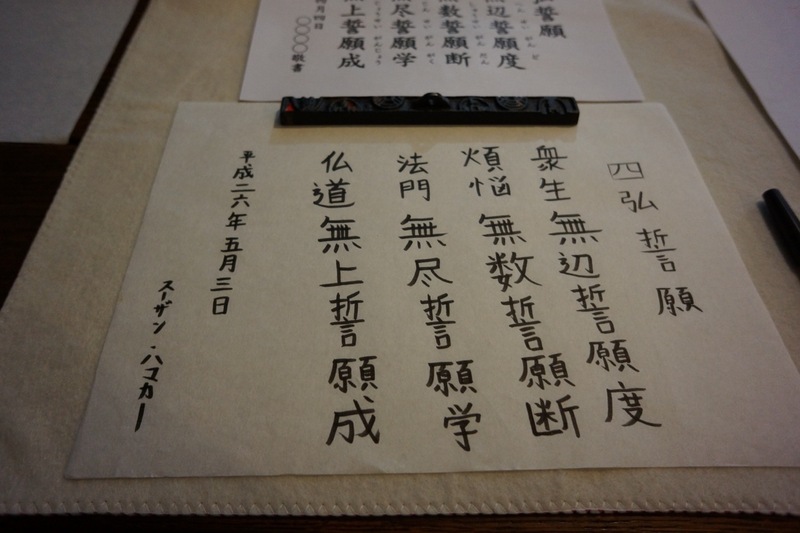 The serenity continued with the next program, Shakyo and Japanese Calligraphy. Shakyo is the Buddhist practice of copying sutra. Once again, Rev. Nakagaki began the class with meditative breathing exercises followed by a chant. 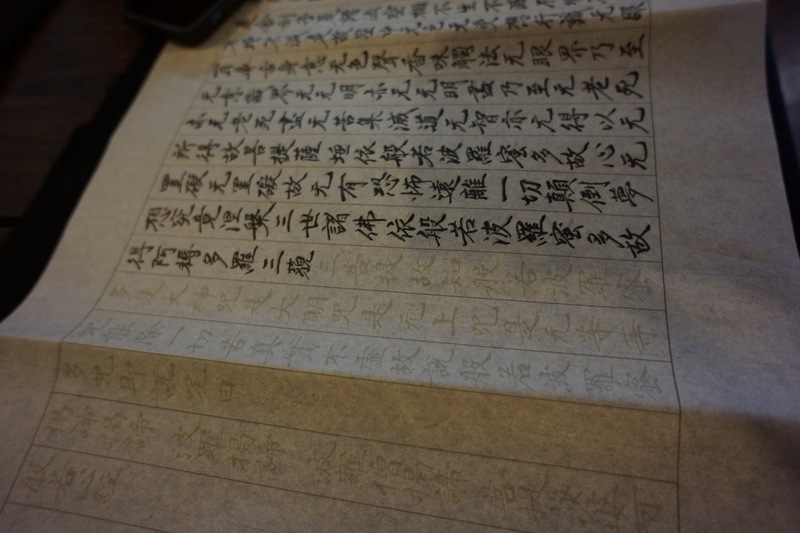 A new set of attendees selected a sutra to copy and went about the deliberate task of writing the complex kanji on thin paper. Sitting straight and quietly tracing the sutra connect the body and the mind. Once a vertical line was completed, we put our hands together to offer a word of gratitude. It doesn’t matter if your penmanship isn’t perfect or if you fully understand what you’re writing. The point is to clear your mind of the clutter caused by its whirlwind of thoughts. 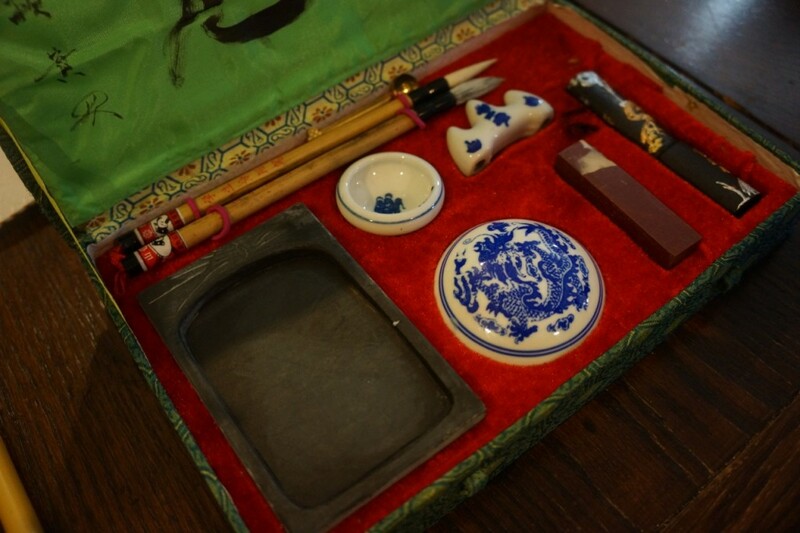 I chose the simplest sutra, and although it was challenging, I had a sense of satisfaction when I finished. We are always in a hurry in New York, but the Shojin and Shakyo programs at J-Collabo taught me that it’s okay – and healthy – to slow down and just breathe. 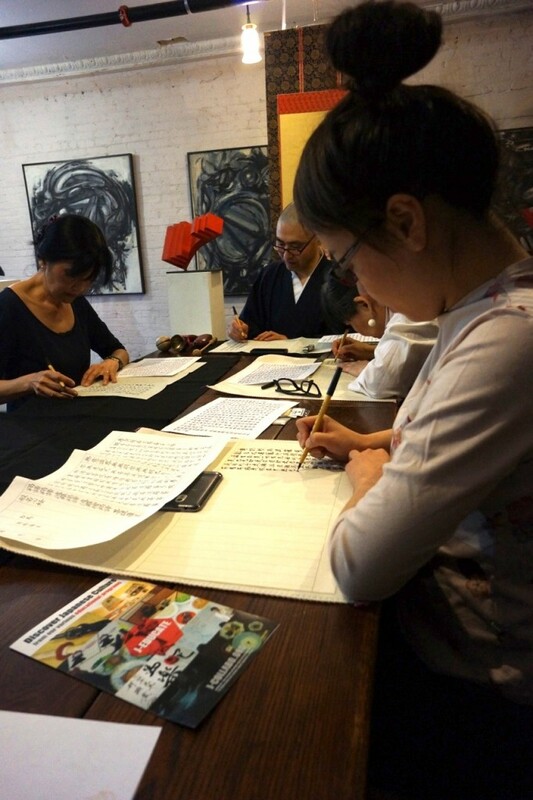 For more information about the Shojin Brunch and Shakyo and Japanese Calligraphy programs, please visit J-Collabo’s website.